Coming to Lake Tahoe for the Holidays? We have the fun planned out for the party seekers who need a night away from the crazy fam! 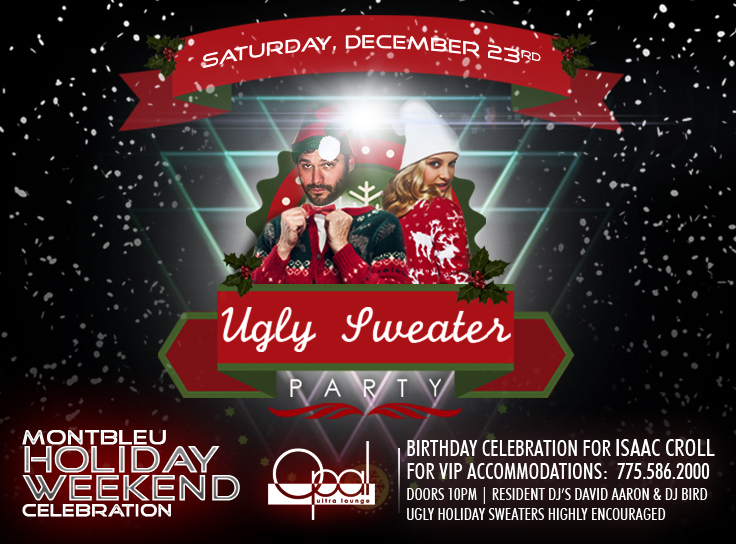 Steal your Grandmas ugliest sweater and join us for a night of holiday bliss with other revelers from around the country in America’s greatest holiday vacation destination!